Welsh Government has published the latest version of its planning policy, which sets out its vision for growth, including the importance of self build as a route to home ownership. 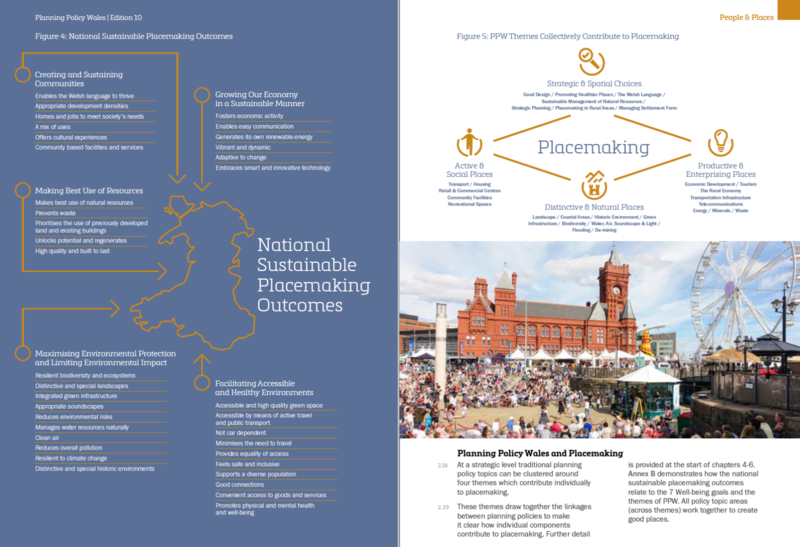 The new Edition 10 of Planning Policy Wales has been designed to make the policy simpler, both to understand and implement. It’s good news for anyone wanting to commission or build their own home, as it recognises the contribution that self build, and custom build, can have in creating diversity in housing supply, offering a wider choice to the public in the type of home they want to live in. This is crucial, as the open market tends to build the same types of new build home, which doesn’t always reflect the needs and preferences of home buyers, for example, multi-generational households or downsizers who want roomy, high-quality homes but without lots of bedrooms. The result of a year-long consultation, Edition 10 puts a lot of emphasis on the notion of placemaking, the idea of creating new developments that have sustainability and community at their heart. The new policy requires local authorities to consider the contribution that all sectors can make to housing delivery, including custom and self build, as well as working to bring on more small sites. Small sites are key in offering a supply route for custom build, where several self-build homes can be brought on as part of a scheme, with much of the hassle of obtaining planning permission and getting infrastructure works completed taken care of. Wales does not have the Right to Build or the self build registers that go with it, as it’s a devolved government, but anyone wanting to self build can now refer to the new policy to hit home the fact that the route has national support. Find out more about custom build, here.